Lunada Eatery & Cantina – Try the spicy chicken tacos and local craft beer on tap from Front Range Brewing. Taqueria La Esperanza – Quick, authentic, and inexpensive – no frills. Taco Wagon – Lafayette’s staple for breakfast burritos. 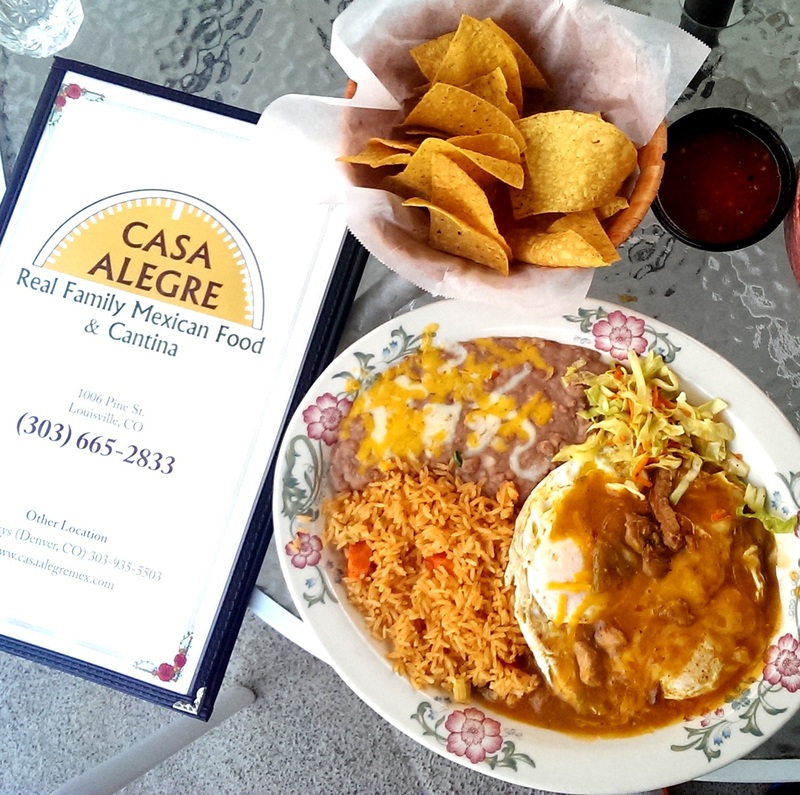 Casa Alegre Mexican Restaurant – Huevos Rancheros are fantastic. La Revolución Taqueria y Cantina (La Rev) – Locals love the mole sauce and house margarita. Old Santa Fe Mexican Grille – New address @ 592 McCaslin Blvd. Loco Hermanos – Regulars dig the huge burritos and green chile (aka chili). Antonio’s of Longmont – Excellent gluten-free and vegan options. Las Palmeras Mexican Cuisine – Order the tasty refritos! 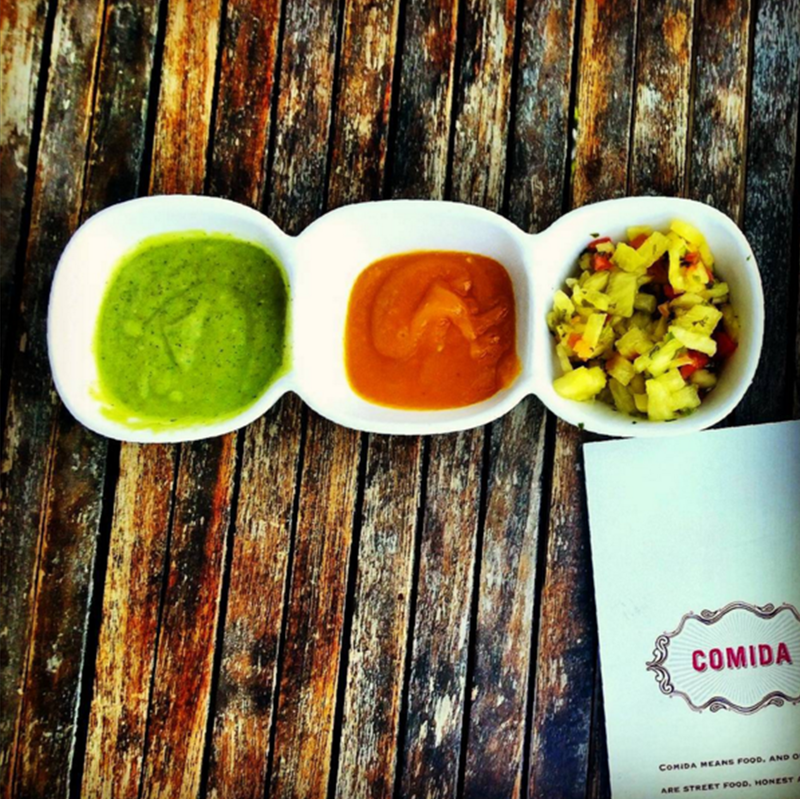 Comida Cantina – Exceptional street food, formerly available from a pink truck – now served from a brick/mortar cantina in Prospect. Azteca Family Mexican Restaurant – Sister restaurant to Casa Alegre in Louisville. Ana’s Mexican Grill – Try the infused Tequila. El Tapatio Mexican Restaurant – Looking for huge portions? You’ll find them at Tapatio. La Casa Del Burrito – Traditional Mexican fare with a great burrito selection. Tacos Y Salsas – Try the Machaca burrito. Agave Mexican Bistro & Tequila House – Upscale Mexican with a huge, awesome lounge upstairs. Pica’s Mexican Taqueria – Try the pozole, tacos, burritos, or tortas paired with a lemon-lime-orange-juice margarita. New Louisville location to open in 2016. La Choza Mexican Restaurant – One of Boulder’s most authentic Mexican spots (NoBo). Sancho’s Authentic Mexican Restaurant – Formerly 100% Mexicano – thank goodness they’re back! Tahona Tequila Bistro – The slow-cooked duck tacos are incredible. D’Corazon Mexican Comfort Food – Visit the “D” for potent margaritas and the traditional style mole poblano. El Chapultepec – Stop in for jazz and green chile (aka chili). Tacos, Tequila & Whiskey (aka Pinche Tacos, Pinche Taqueria, Pinch) – Worth the trip just for the queso with salty/limey chips. Definitely try the Queso a la Plancha tacos.